Concast Concrete Heavy Traffic Rated Handholes | Open Bottom with Customizable Covers. Concast concrete handhole units are a great precast option when you need a small access box with no bottom. These units have a full H20 traffic rating. 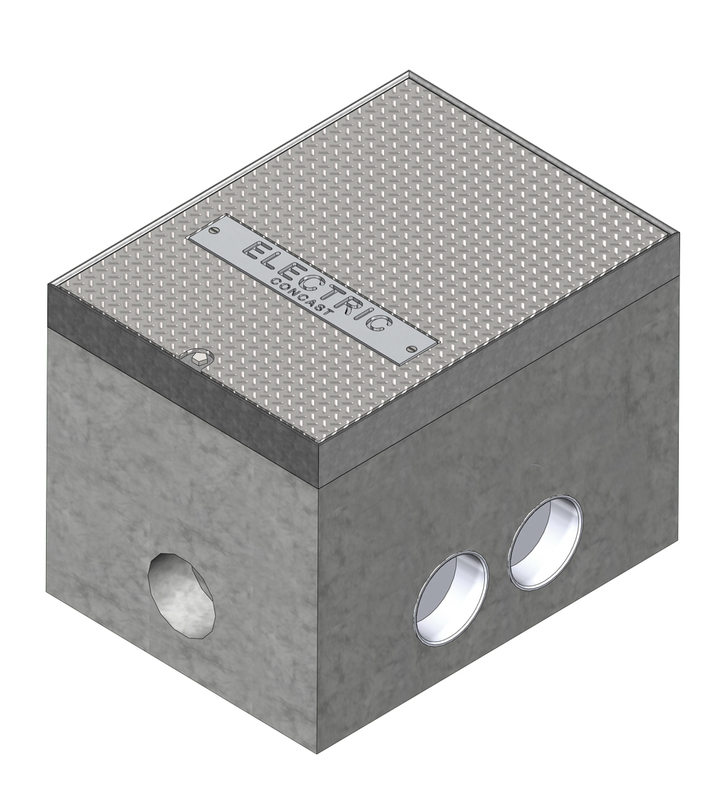 The handholes include a galvanized steel treadplate cover which comes standard with ID plates and pentahead locking capabilities to make your handhole units tamper-proof. Removal tools are included with each FHR order. FHRSL handholes utilize SureLock bolts for maximum security. *If you need a non-standard FHR unit, print out and mark up the appropriate drawing from the chart above with your design requirements such as hole locations and optional accessories such as ID Plates. Email or fax it to us, and someone from Concast's engineering team will get back to you with their recommendations ASAP.